According to Mobileye, the incident was not a software bug in the car. Instead, it was triggered by electromagnetic interference (EMI) between a wireless camera used by the TV crew and the traffic light’s wireless transponder. 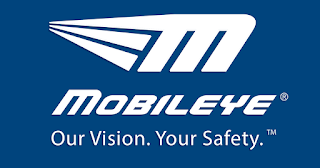 Mobileye had equipped the traffic light with a wireless transponder — for extra safety — on the route that the AV was scheduled to drive in the demo. As a result, crossed signals from the two wireless sources befuddled the car. The AV actually slowed down at the sight of a red light, but then zipped on through." On the Uber vehicle I feel sorry for the operator. A few important facts. It was almost 10pm. The pedestrian was dressed in black was pushing a bicycle across an unlit portion of road and all reflectors where perpendicular to the oncoming car. The pedestrian tested positive for methamphetamine and marijuana and didn't even look in the direction of the vehicle until right before impact. You could not invent a better set of circumstances to cause a failure and the accident would have happened with almost any driver at the wheel.